The Roads neighborhood is a 500-acre neighborhood located just next to Brickell, originally named Brickell Hammocks. It presents an atypical street grid, where there are no streets but Roads, gaining its popular name. 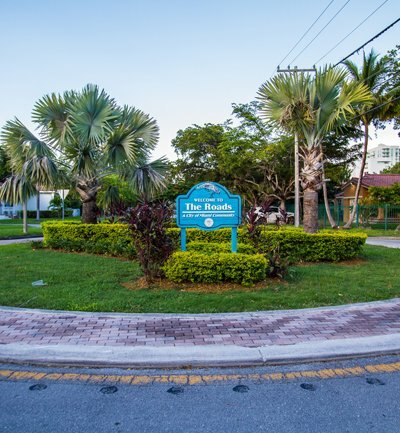 The Roads was designed, platted, and developed by Mary Brickell to provide residents with affordable lots. All Brickell Hammock lots we sold at a one-day held February 1st, 1923 at an average lot price of $1,800. Today The Roads has become one of Miami’s most expensive neighborhoods. It consists mostly of single family homes, though on Coral Way you can find condominiums at slightly lower prices than on Brickell. The Roads is located just minutes from Brickell and Downtown area, it provides its residents with a suburban feel with the convenience of its central location.